Our emotional support program is entitled Creamos Voces meaning “We create voices.” Creamos Voces aims to create a safe space and foster leadership by empowering women living in the community surrounding the Guatemala City garbage dump, through a variety of wellness programs to promote a safer, healthier and more sustainable community. We offer a variety of non-threatening services that address both the most immediate needs, and longer-term goals of our participants. THE DOMESTIC VIOLENCE SUPPORT GROUP IS A CLOSED AND CONFIDENTIAL GROUP OFFERED TO SURVIVORS OF DOMESTIC VIOLENCE. 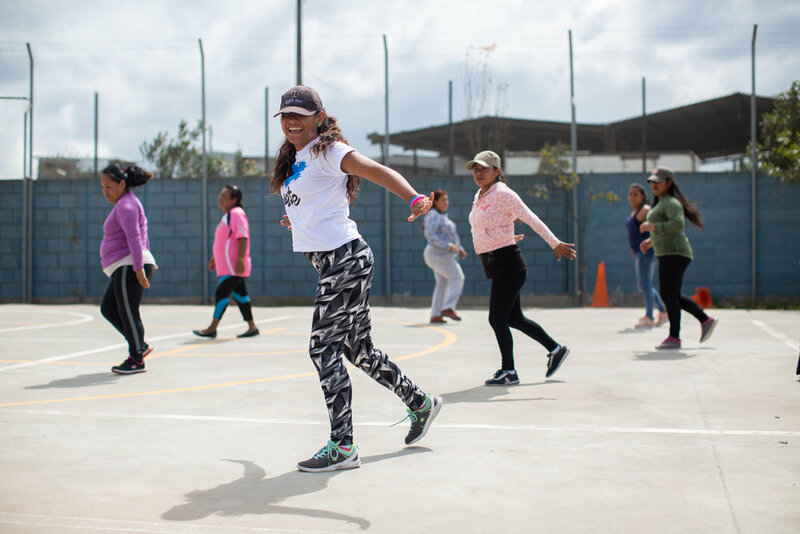 THE GROUP STRIVES TO INCREASE KNOWLEDGE REGARDING THE VARIOUS FACTORS OF VIOLENCE, ENRICH WOMEN’S PERCEPTION OF SAFETY, AND TO INCREASE AWARENESS OF ACCESS TO RESOURCES. OUR MULTI-PRONGED FINANCIAL LITERACY PROGRAM CONSISTS OF 6 SESSIONS THAT FOCUSES ON ECONOMIC INDEPENDENCE, DEBT MANAGEMENT, SAVINGS AND FINANCIAL PLANNING. UPON GRADUATION THE PROGRAM, WOMEN ARE ELIGIBLE TO PARTICIPATE IN A MATCHED SAVINGS PROGRAM AND OFFERED INDIVIDUAL FINANCIAL ADVISEMENT.